Nina and Paul on 5:19 show. 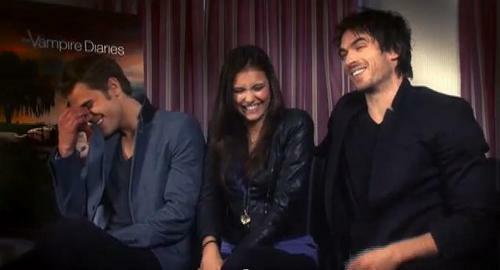 Nina,Paul and Ian on 5:19 show. Wallpaper and background images in the Paul Wesley and Nina Dobrev club tagged: nina dobrev vampire diaries paul wesley paul and nina 5:19 show.